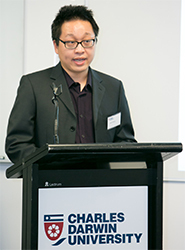 The student retention project is a university-wide higher education initiative designed to address Charles Darwin University’s student attrition rates. The project incorporates recommendations from the Probert report (PDF 215KB), but with a focus on ensuring that strategies implemented are highly relevant and appropriate for the CDU context. The overall result – improving student retention – is dependent on all parts achieving the outcomes specified in the project plans for each of these elements. First Year Toolkit - a resource for teaching staff as a guide to good practice in teaching, learning and assessment in first year units. To support staff, an Innovative Teaching Seminar Series has been developed. The series provides opportunities for staff from across the University to engage in conversations around strategies to assist students in being successful, independent learners. A Student Snapshot report has also been developed as an informational tool for teaching staff. The report provides an overview of student demographics for each unit within Learnline and is intended to assist teaching staff in the design of teaching and learning activities. 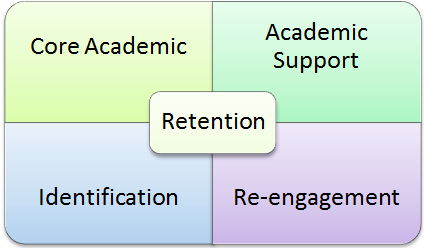 For more details, CDU staff can access the student retention project wiki.